SOLD OUT! Pick one up from the alternate link below. Also available built in the Radiance 2xxx video processor or the Oppo BDP-103D Blu-ray player. Using our affiliate links helps support our site at no additional cost to you. We thank you! Sign up today to receive the latest Darblet news. Payment methods include PayPal balance, credit card, bank transfer, or wire transfer. (PayPal account not needed to pay by credit card). to your local currency. If paying through PayPal, we only ship to confirmed PayPal addresses. Orders ship direct from Lumagen in the USA. UPS shipping is used within the USA, USPS is used elsewhere. NO RISK RETURN POLICY: You may return your Darblet within 15 days for a 100% refund (minus original shipping costs). "I use the Darblet with everything, even for Blu-ray reviews." "It will make the most beautiful images you’ve ever seen on your screen." "Watching anything through the Darblet is quite a revelation." "On a CRT... I think for the first time there is a device out there worth the money that will actually improve on the image, and would do so without making the projected CRT image look like a cheap digital." Up until now people have usually had to turn OFF most "image enhancement" features in their displays, Blu-ray players, and other devices as they destroy image quality. 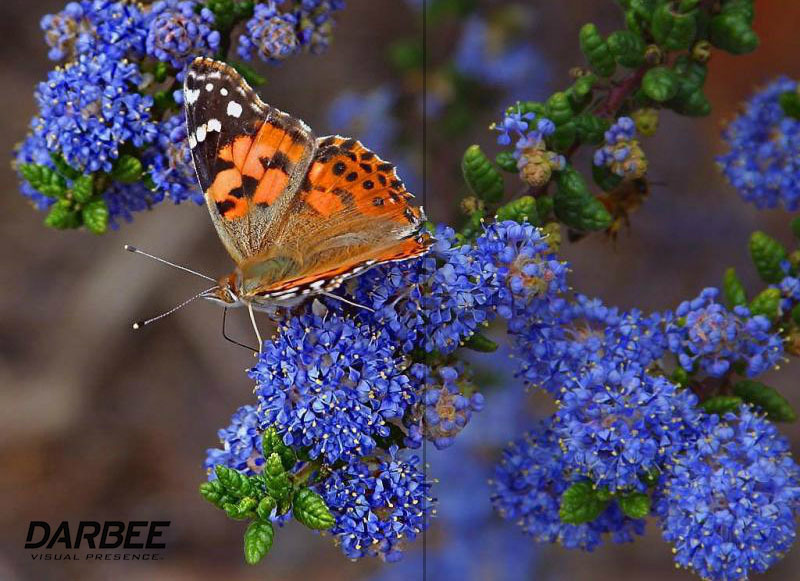 The DarbeeVison Darblet is first image enhancement tool that actually gets it right and provides an exceptional increase in depth and detail for both digital and CRT displays. 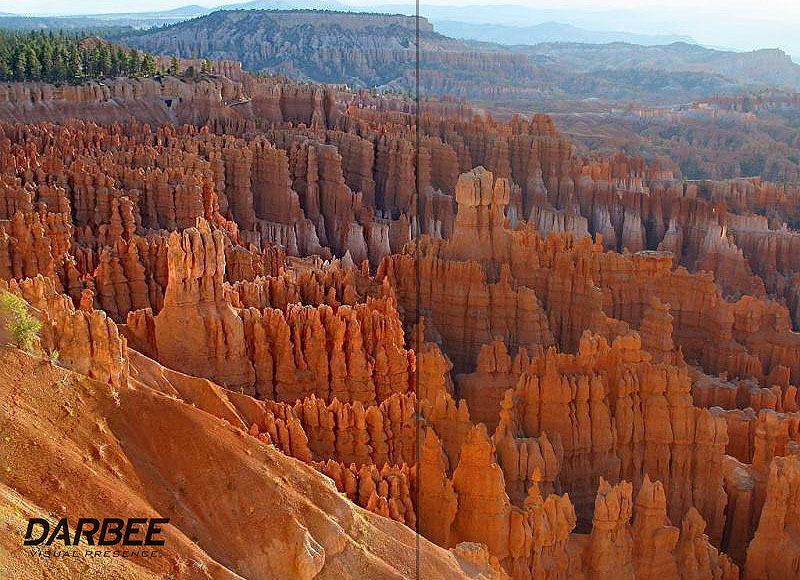 The better and more detailed your source signal is, the better the resulting picture will be. Completely plug and play. 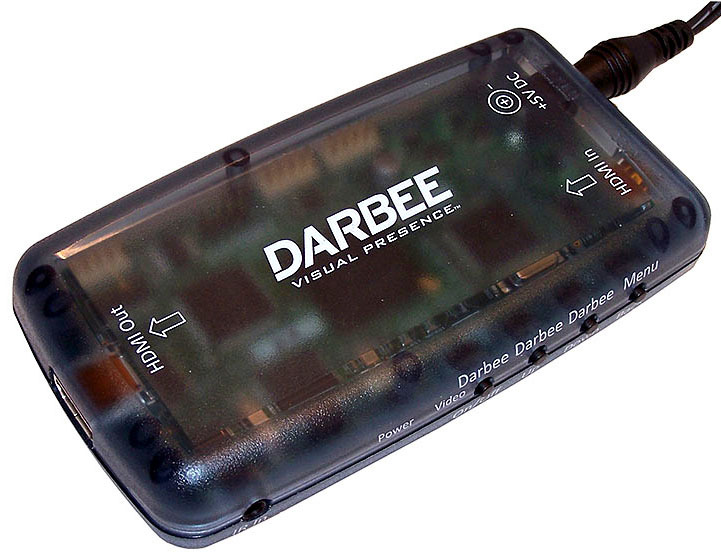 The Darblet installs between your source and display. Installation takes 30 seconds. A useful "Demo" mode lets you view both the before and after pictures side by side. We recommend using the "Hi Def" mode with a setting of somewhere between 30-45% to start. Image enhancement? I'm a purist and do not want the image altered in any way! This was also our first reaction when we first heard about the Darblet. Another box to muck up the picture that would probably only be purchased by the same consumers who prefer TVs with fake oversaturated colours. No thanks. But then some of our videophile friends and no-nonsense industry experts we trusted (Kris Deering, Joshua Zyber, etc.) started talking about the Darblet and how well it worked, so we started to pay attention. "As someone whose job it is to occasionally review Blu-ray discs, a device like the Darblet presents an interesting philosophical dilemma. Is it fair to evaluate the video quality of a Blu-ray disc with something like the Darblet engaged, when the very nature of the device is seemingly to alter the video signal? After giving this a lot of thought and using the unit extensively, I’ve come to the determination that the Darblet doesn’t actually add anything that isn’t inherently present in whatever video I happen to watch. It simply helps the display to resolve the picture better. I would equate this to upgrading the display to a better model. The Darblet doesn’t change the picture so much as it improves the playback of what’s there. If I were to upgrade my projector to a newer model with improved contrast specs and higher-quality optics that could focus the image tighter on my screen, would I say that the new projector altered the picture on the Blu-ray disc? Of course not. I should expect a better projector to improve the quality of whatever I watch. From what I’ve seen, that’s the sort of effect that the Darblet provides. I like it, and I’ve decided to leave it on full time." If you want to enjoy the highest fidelity picture possible on your HDTV, the Darblet is the solution for you. 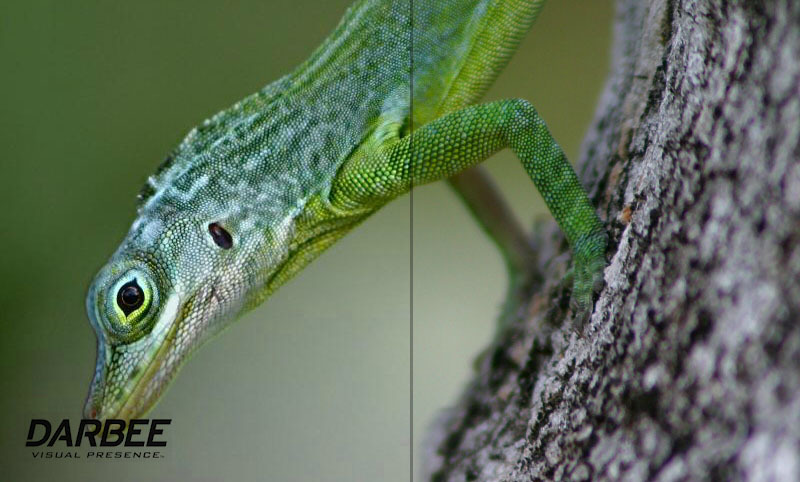 Darbee Visual Presence™ (DVP) technology establishes a breakthrough for image realism by embedding 2D and 3D pictures with depth information. Enabled by parallel processing in a single chip, DVP represents the next generation of computational image processing for depth and realism. The Darblet is ideal for use with use with High-Definition TVs/projectors and components such as Blu-ray player, Xbox 360, Playstation 3, and Cable/Satellite receivers. It is Plug-n-Play and installs in seconds between any HDMI source and display. Easy to set up - simple controls, small and transportable, HDMI 1.4 compliant for the highest fidelity. 2.5" x 4" x .75", 3 oz. Below are some split screen demo pictures provided by the manufacturer. (Note: We find that that the enhancement setting is set too high in these examples but it gives you an idea of what the Darblet does). When purchasing you will be paying and dealing directly with the third party seller 'Lumagen'. While this item is not sold or supported directly by CurtPalme.com, we are in the service business and our only goal is your complete satisfaction. We work with our vendors to ensure you are completely satisfied. DISCLAIMER (Legal mumbo-jumbo because we have to): Any dealings with the third party seller/manufacturer listed here, including the delivery of and the payment for goods and services, and any other terms, conditions, warranties or representations associated with such dealings or promotions, are solely between you and the third party seller/manufacturer. Curtpalme.com shall not be responsible or liable for any part of any such dealings or promotions. Duties, taxes, and other customs fees charged on internationally shipped orders are the SOLE responsibility of the buyer. CurtPalme.com and the seller are unable to provide estimates for any customs fees, taxes, or duties; check with your country's local customs office for more information about importing goods into your country. CURTPALME.COM IS NOT THE SELLER OR MANUFACTURER OF THESE PRODUCTS OR SERVICES. THE SELLER/MANUFACTURER MAY HAVE PROVIDED A WARRANTY ON THE GOOD(S) PURCHASED. CURTPALME.COM HAS NOT MADE, AND DOES NOT MAKE, ANY REPRESENTATION, WARRANTY, PROMISE OR COVENANT, EXPRESS OF IMPLIED, AS TO THE CONDITION, QUALITY, DURABILITY, CAPABILITY, FUNCTION, PERFORMANCE, OR SUITABILITY OF THE EQUIPMENT, ITS MERCHANTABILITY OR ITS FITNESS FOR ANY PARTICULAR PURPOSE. BUYER AGREES THAT CURTPALME.COM SHALL NOT BE LIABLE FOR EITHER SPECIFIC PERFORMANCE OR ANY LIABILITY, LOSS, TAMPERING, ABUSE, DAMAGE, INCLUDING CONSEQUENTIAL AND INCIDENTAL DAMAGES, ARISING OUT OF BUYER'S PURCHASE OF THE EQUIPMENT, ANY DEFECTS IN THE EQUIPMENT, OR FAILURE OF SELLER/MANUFACTURER TO TIMELY DELIVER THE EQUIPMENT.